What do we mean by utterly brilliant poetry? Well – get a load of this. 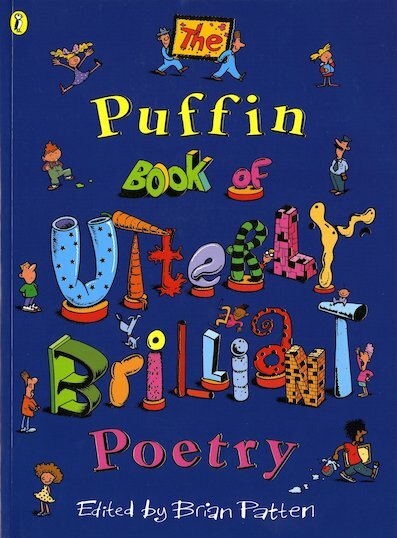 Authors such as Roger McGough, Michael Rosen, Charles Causley, Benjamin Zephaniah, Jackie Kay, Spike Milligan, John Agard, Brian Patten, Allan Ahlberg and Kit Wright, all in one bumper book. If that’s not brilliant, we don’t know what is! Plus, as well as a feast of verse to read and share, each poet’s work is illustrated in colour by a fabulous artist such as Emma Chichester Clark, Fritz Wegner and Korky Paul. Read, look, listen, laugh and have loads of fun. Perfect poetry for all!